Putting in eight screws-that is what we accomplished today. It took us (both of us) all day to find a place to install the silt reduction/pre-filters for the new watermaker. They need to be readily accessible, like daily, yet someplace that it won’t matter if you slosh saltwater on the floor as you change the filters. 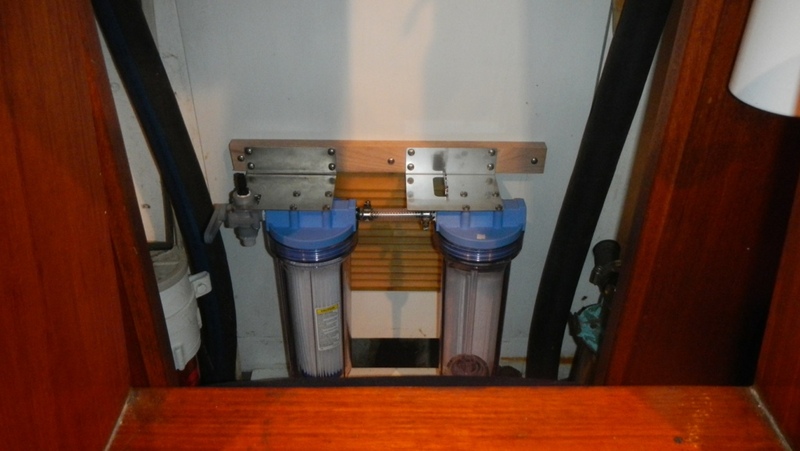 The boost pump has to be below the waterline and the hoses have to be run from the intake and back to the watermaker. Basically, there is no perfect location. Believe me, we looked very hard. In the end, I gave up my precious storage spot under the companion way stairs and we screwed in the two filters and called it a day. 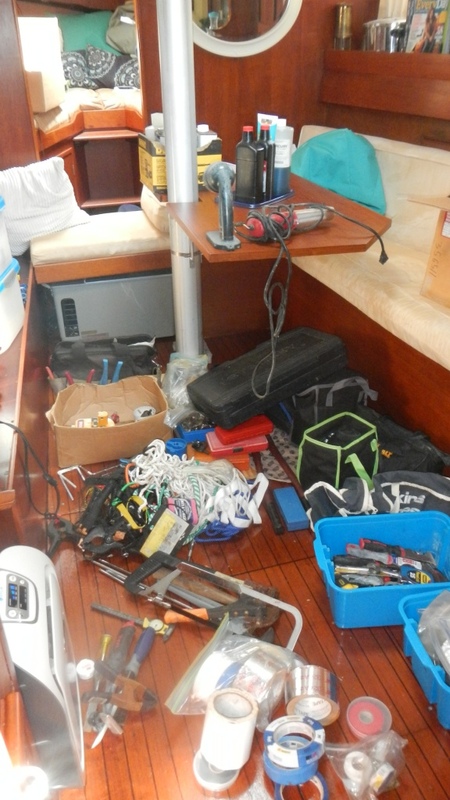 The boost pump, lines, and power will come another day-after I find a place for all of the newly dislodged items.